Our weekly run down of the best bits and bobs that have arrived with us since the last time. New season clothing, stealthy road bling bikes, bargain wheelsets, bright lights and shiny shoes. The weather is holding up nice in this part of the country and therefore we’ve seen loads more customers through the doors ready to grab those bargains and new products. Lets see what we’re highlighting this week. 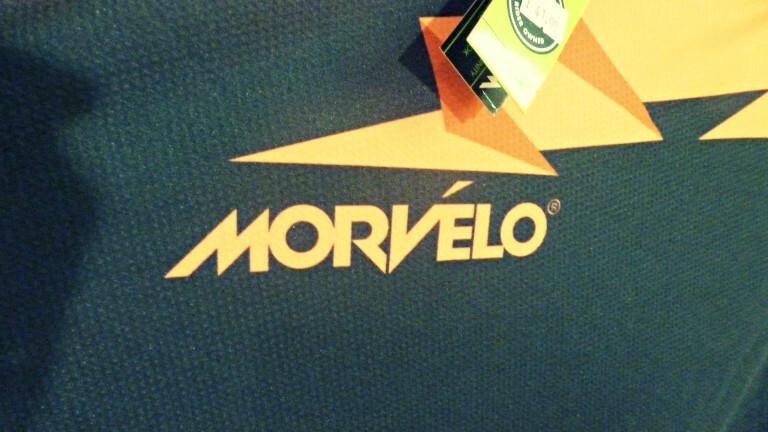 First up we have a new range of Morvelo clothing just landed. Apparel for road, MTB and casual wear. At the moment you can also take advantage of a further 10% off which is available in store on online at the basket. We have the last edition models at further discounted prices too so you’re bound to find something in your budget. Movelo produce some of the more iconic ranges of cycling fashion out there and like to put out pieces that innovate or nod back to the old skool. You can really stand out from the crowd in some of these so why not take a look today. 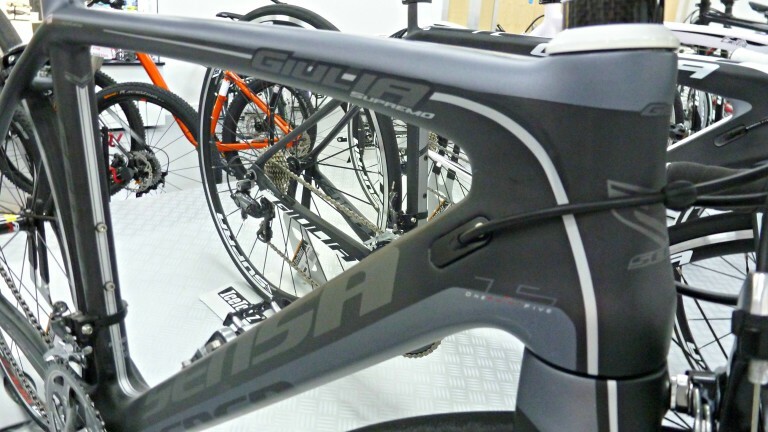 Next up we have our ever-popular 2014 Sensa Giulia Supremo Ltd Edition which is now on offer at up to 48% off RRP. For that value you get Sensa’s top of the line carbon frame which is the lightest in the range. This bike is ridden by our team riders and was recently featured in the new book “1001 Bikes to Dream of Riding Before You Die”. Three sizes are left in stock 50, 55 and 61 and are finished off with a mixture of Ultegra and 105 parts. This is a great way to get a high end frame with great bits that you can upgrade as time goes by, grab one while you can! Looking for a new pair of road wheels? Then look no further perhaps that these Forza Cirrus clinchers now for £169.99. Normally nearly £400 these wheels weight just 1.6kg for the pair and come with aero spokes and a forged hub. 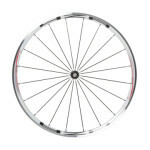 A cracking set of high end wheels for a fantastic price, you’ll find these stiff wheels good enough for any climb, descent, sportive or any ride you care to mention really. Despite the uncharacteristically mild weather for this time of year it doesn’t stop the nights from drawing in here in the UK. That means it’s time to put some lights on your bike and luckily we’ve got loads to offer you for all budgets. 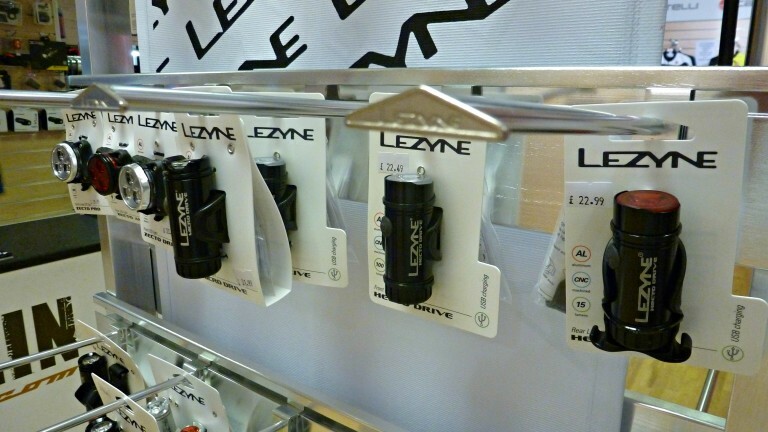 If you’re in the shop you can check out what’s available via the Lezyne stand with prices starting at under £10. For those needing really bright power and a cheeky little bargain at the same time why not hook up the Moon X Power 1500 for only £100 which is 64% off RRP. The moon generates 1500 lumens and is fully rechargeable, probably the best all round light/bargain we have in the lighting department right now! 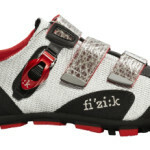 And finally if you’re in the market for some new MTB shoes then let’s give a quick shout out to these Fizik M5 shoes. Available in all sizes for £98.99 they have a Nylon Carbon-reinforced outsole and Nylon Upper Mesh and anti-scratch leather. A tough pair of shoes that you can really throw some work at. Tagged fizik, forza, giulia, lezyne, moon, morvelo, Sensa, shop. Bookmark the permalink.